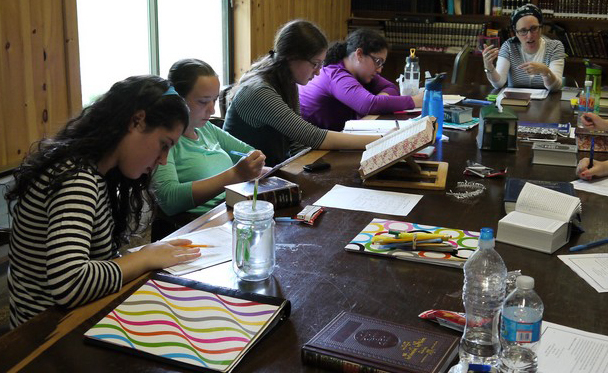 Girls entering 11th grade (and older) have the opportunity to join our Beit Midrash Program (BMP), in which they learn, both individually and as a group, during the mornings and work as specialty staff in the afternoons. BMP is an opportunity to explore in depth topics and sefarim not generally studied in school. Topics have included Women in Tanach, Intensive Parashat HaShavua, Pirkei Eliyahu v’Elisha among others. A weekly guest speaker broadens the range of material covered, Night seder is divided between group study of a mussar text and chavruta study. Each participant hones her skills in learning and teaching by delivering a chabura on a rotating basis throughout the summer. 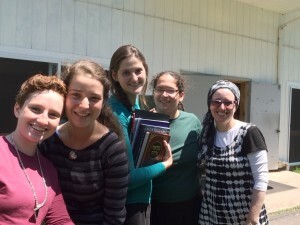 Enjoy this unique opportunity to spend your summer in a dedicated beit midrash environment while having fun in camp… and no tests!